This is an update of a blog and a sequence of story maps written in 2017 looking at the mechanics of customizing our vector basemaps. It includes updated links, and details on working with the new Vector Style Editor released in early 2018. Ready to take your maps to the next level? Vector tiles enable dynamic cartography and provide the flexibility to create your own basemap style. In our September 6, 2018 webinar, we will show you how to use the new ArcGIS Vector Tile Style Editor to personalize your maps. We’ll also walk you through an inspiring gallery of creative map styles that incorporate new map features and labels. But have you ever had that moment where you thought ‘This basemap would work really well, if only …’? 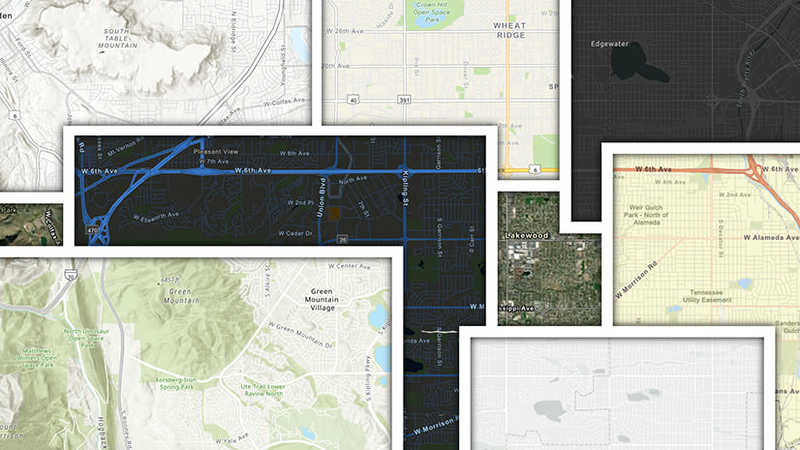 Our vector basemaps originate as a Vector Tile Package, built in and generated by ArcGIS Pro, then published with a generic style. It establishes the maximum level of content available and a defined scale range for each layer of information. 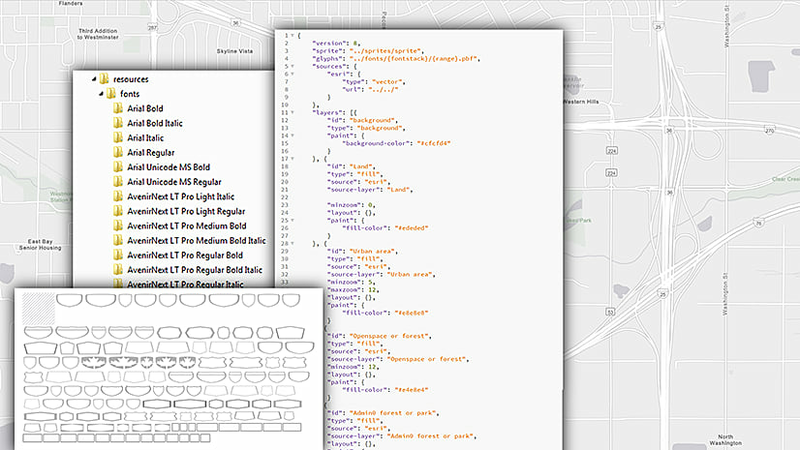 Separate style documents are created in JSON Code for each of our basemaps, although they do not necessarily use all of this content, or the available scale range. Fonts – Any font that is used in the ArcGIS Pro map. Sprites – PNG Raster images created for special effects, such as textured patterns and point symbols. In most circumstances, once these have been exported from Pro, they are not editable. However, we have created alternatives for our different core maps. 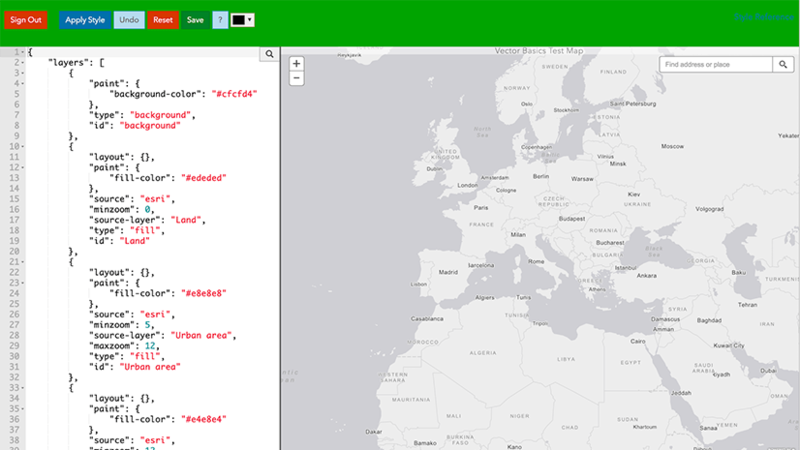 Styles – A root.json file that establishes the symbolization of the map detail. This is editable, and it is the key to the discussion here. We can make changes to this code to affect color, line weight, label size/font, and scale range … either directly, or through an editing app. The Vector Basemaps Reference Document, is a downloadable PDF describing how our maps are structured. As the maps themselves have become more versatile (and we are trying to improve them all the time), our layer structure has become more complex. This document will help you to find your way through. It may be a little confusing at first, but the more you work with it, the more it will make sense. Don’t feel you have to learn it before you start work though (It’s a ‘reference’ document!). We provide two editing apps to help you on your way (Note that both are in beta, so details could change without warning). Both require you to sign-in to an ArcGIS.com organization. The first is new as of 2018. 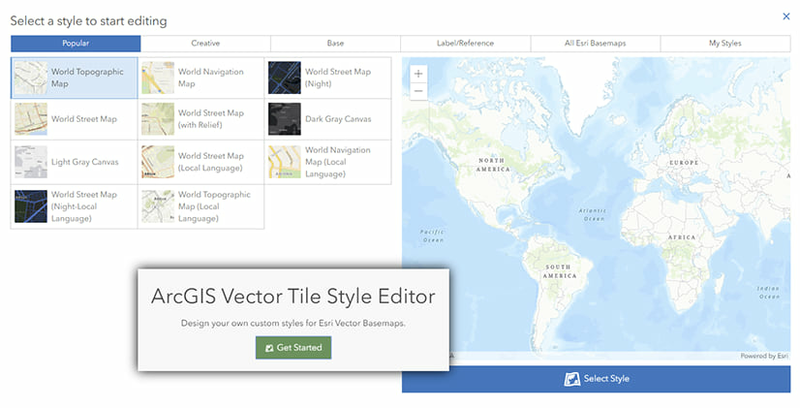 The ArcGIS Vector Tile Style Editor is an intuitive app that leads you through most of the simpler changes you can make to the map style. For most tasks this will make life much easier for you. The JSON Code Editor has been available for a while. It pairs the JSON style with a preview map as an easy way for you to work directly with the code and see the results. If you are confident in your ability to work with code, the JSON style file gives you access to some more sophisticated options. It is a requirement if you want to add data layers to the style.